If you’ve made the decision to add an adult or senior cat to your household, congratulations! Older pets are much less likely than kittens to be adopted from shelters. Not only have you helped save a life, you’ll have a thankful, cuddly companion that greatly appreciates you for it! Of course, if you already have a kitten or younger cat at home, they might not be as excited about the new family member—and vice versa. But, by following a few key tips, you can create a smooth transition for all the members of your home! One of many great things about adopting a senior cat is that their personalities are already set, so you have a good idea of what to expect. If possible, try to pick a cat that comes from a history of multi-cat households and is on the friendly side. The new cat’s disposition should also match that of your existing cat for a better chance of them getting along. 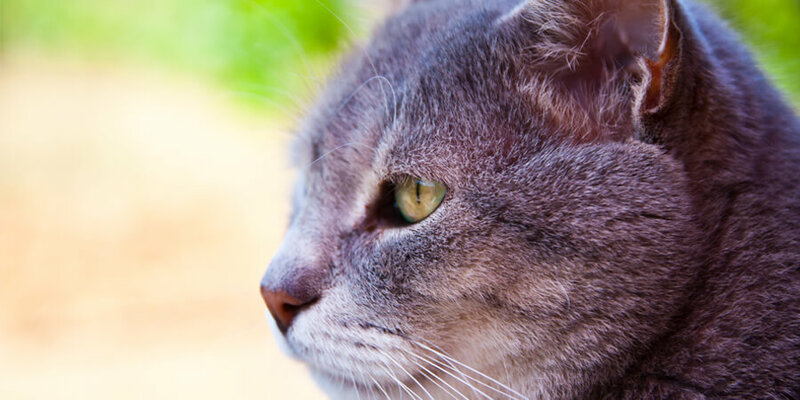 While it may be hard to find an older cat with an energy level that matches that of a younger cat, it’s not impossible! In terms of gender, two female cats or a female/male match is a safer bet than two males, whose natural instincts may prompt aggression. Keep Them Separated – At First. 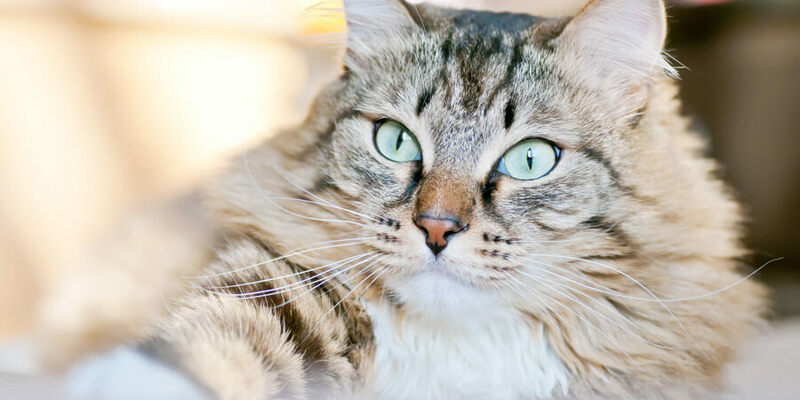 Cats are territorial by nature, so make sure to give your new cat his own space before introducing him to your current cat, and give both cats lots of special care and affection. 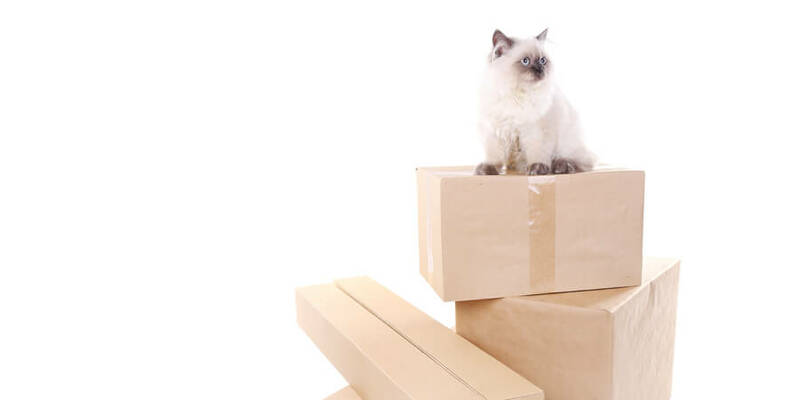 Set aside a special, isolated room for your new cat if possible, complete with a litter box, food, water, toys, a scratching post and some cozy hiding places. This will give her a safe place to get used to her new surroundings before introducing another cat into the mix. Later on, make sure each cat still has their own bowls and litter boxes. Your two cats should be able to hear but not see each other, so they start getting used to the idea of another cat. 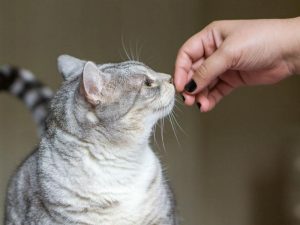 You can do this by feeding or giving treats to both cats near their respective doors, so they begin to associate the smell and sound of each other with a positive experience. Playing with the cats by the door will also help them associate positive experiences with each other. When first bringing your senior cat home, don’t rush her to hang out with you, either. Keep her in a carrier and leave the door open. She will come out when she’s ready. If she does come out, gently pet her and sit on the floor near her until she comes closer. Reassure her that you’re happy she’s there, and show her around the room. Some experts also recommend initially feeding a new cat by hand as a bonding experience. After a few days have passed, consider switching the cats’ locations so they can get used to each others’ smells before meeting in person. You can also rub the cats with the same towel or clean sock to capture their unique pheromones and mix their scents. 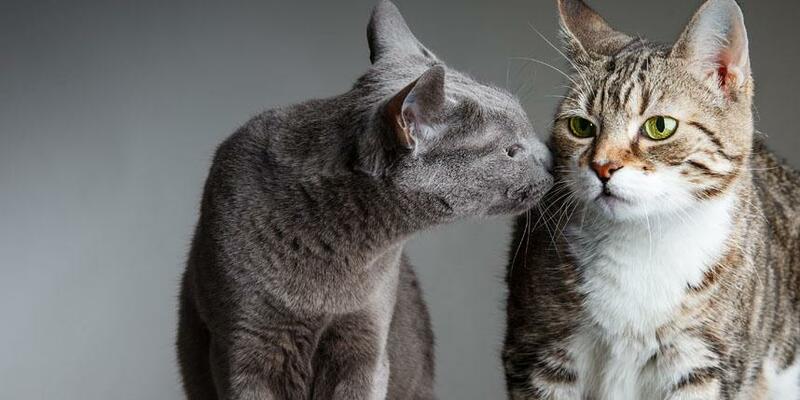 Once the item has been rubbed on the cheek of one cat, leave it with the other to let them investigate it. Slowly Let The Cats See Each Other. Once things seem to be going well for the cats on their own, it’s time for a real-life meeting! You can start things slowly by putting up a gate between the cats, and continuing to feed and play with them within view of each other, but still separated. When you feel ready, remove the gate. Don’t be alarmed if the cats ignore each other at first, or if your young cat is more excited to play than the older cat. (Or vice versa!) Supervise the cats and let them take things one step at a time. 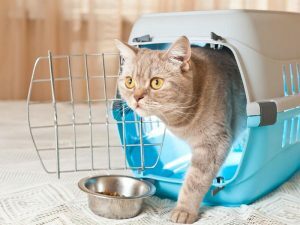 If you feel like one cat is harassing the other, you may consider seeing help from a professional cat behaviorist. Continue to associate playtime and positive interactions with positive reinforcement, i.e., treats! 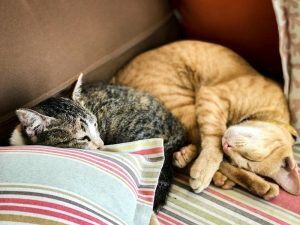 Remember that all cats are individuals and while two cats living in the same home may very well continue to ignore each other, they might also become best of friends. Don’t overlook a senior cat just because you already have a kitten. You might be pleasantly surprised!